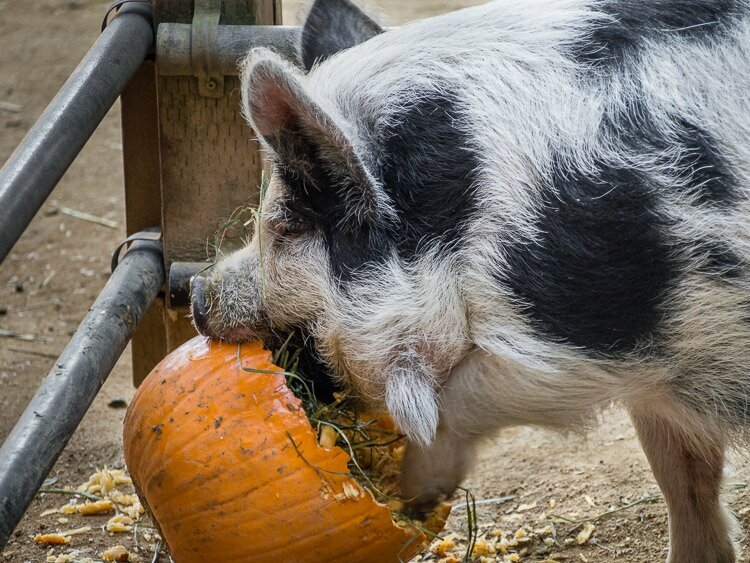 His favorite treat, cut up apples, lay at the bottom of the pumpkin. What was he to do? Go after the goodies, of course! Finally, he used gravity to pull it off, pushing pumpkin off the swing and letting the weight of gourd allow him to get his head removed from said item.